Jon Wesley has been part of the San Diego underground since 1992; first as a promoter and later in 1995 as a dj. He has been a dj for twenty two years and has played over 1,000 shows in that time. He has managed to play in various US cities such as Los Angeles, San Francisco, Sacramento, Las Vegas, and Miami and had a chance to do a month-long tour in Portugal but most of his experience comes from playing locally in San Diego and Los Angeles. He was also fortunate enough to have played the legendary Does Your Mama Know afterhours numerous times before it ended its 12-year-run. 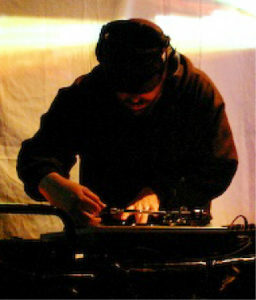 In the past he had mixtapes and CDs available in numerous stores thanks to his House Vibes affiliation (a company from Los Angeles house music legend Terence Toy); stores such as Beat Non Stop, Street Sounds, Amoeba LA, Elevator, Groove Music, Amoeba on Haight San Francisco and Pure Acid mixtapes all carried mixes of his. Jon has been a music journalist for many years who served as the music editor for BPM magazine for two years. He was also a feature and review writer for RE:UP magazine. He currently freelances as a writer and illustrator for Insomniac Events. As a dj his music policy is simple: anything goes as long as it’s great. He constantly rotates his collection into his playlist, merging the old with the new, trying to rediscover forgotten classics in addition to spreading the word about new music. In his sets you’ll hear house and techno, breaks, funk, popular remixes, 80s, electro, African, Latin and other world music sounds, dub, reggae, golden-era hip-hop and current music styles. As a promoter in the 90s he threw many smaller, more intimate parties first as M-2 in the early nineties– where he put on unique events with funny names such as “The Lush Cooperative” ; “Massive Luxury Overdose” (taken from the old Army of Love title) and Vapo-Rub, booking artists like DubTribe, Thomas of Wicked, Jeno, Carlos and many others. Later on he was involved with Merge Life and Music, which he co-founded with San Diego’s Jonathan Gage (eventually called Merge Events) where they put on parties featuring drum & bass and World music, downtempo and much more. They produced shows featuring Ninja Tune artists such as ColdCut, Kid Koala, Amon Tobin, The Herbalizer, DJ Vadim, Animals on Wheels and others. They also put on an event at an old bowling alley called Cosmic Bowl and introduced events in other unusual spaces like the basement of an old cowboy bar in the Gaslamp district of San Diego where they produced a short lived D&B party called Step Child. The most well known production from Gage and Jon as Merge Events – and the longest lasting event – was The Dragon Lounge co-produced with legendary San Diego breaks dj B-Side. Jon was only involved with the the Dragon Lounge for the first couple of years but the club lasted for over twelve years before Gage and B-Side moved on to other things. It still exists thanks to Kristie at Kava Lounge and Arkon who kept the dragon legacy going with possible future incarnations in the works. Jon always wanted parties with a mix of fun, cheerful people of all ages and from all walks of life, along with a completely open-minded music policy. More recently he was the first promoter to bring Quantic to San Diego, of course in an underground fashion at The Merge Events Barrio Logan warehouse in 2011 and he paired up with Gage and DJ Vadim in 2012 for a cookoff and warehouse party. He currently produces and djs at a weekly Thursday event in San Diego called Libertine at AC lounge. Future plans for Jon are to start incorporating multi-media into his “live” performances with bits of video-mixing, digital art and live music production. His ideal gig in the future will be to be able to control the visual experience along with the aural, enabling him to communicate more of his ideas to music lovers.